1. The best direction for the location of a bathroom is the north-west. This being an Air element direction does not hamper the flow of subtle energies. 2. According to Vastu Shastra, placing a bathroom in the north-east corner of the house is a major Vastu offence. The north-east is a very pious place, owned by Lord Shiva and is occupied by the forehead of the VastuPurush. The north-east is a point from where electromagnetic energies emanate and the entire building is imbued by this energy. If a bathroom is placed here, it contaminates these energies. Hence, installing a bathroom here can cause disastrous health issues, accidents and problems with progeny as well as unnecessary tensions. 3. 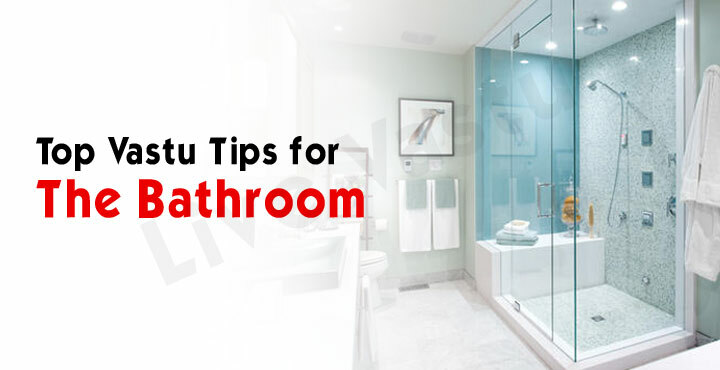 Positioning a bathroom in the south-east area is also a problem as explained by Vastu specialists. This is because this area is occupied by the Fire element and owned by Lord Agnidev, while a bathroom is a part of the water element which acts in opposition to fire. A bathroom here also shows disrespect to Lord Agnidev. The residents of the building with a bathroom in the south-eastmay have to face unexpected losses, legal issues, taxation problems and electricity related mishaps or accidents. 4. Similarly, a bathroom in the south-west is inauspicious as well and can result in financial losses and unnecessary expenses for the residents of the building. In some cases, they also experience feelings of anxiety and depression. Since the north-east’s magnetic energy is stored in this direction, there should ideally be no drainage in this area. 5. The bathroom should also not be placed in the center of the house because Lord Brahma resides in this pious location. Moreover, the central area is the point from where gravitational energy emanates and a bathroom here would infect this positive energy. 6. The bathroom should not be visible when entering a building. 7. Make sure that the bathroom is not attached to the kitchen wall or to the wall of the mandir. The bathroom releases a lot of negative energies and is not clean; it may affect the sanctity of the kitchen and the food cooked therein may get contaminated. The same stands true for the mandir, the holy environment does not remain pure and clean because of the bathroom’s negative energies, apart from being disrespectful t the Gods.